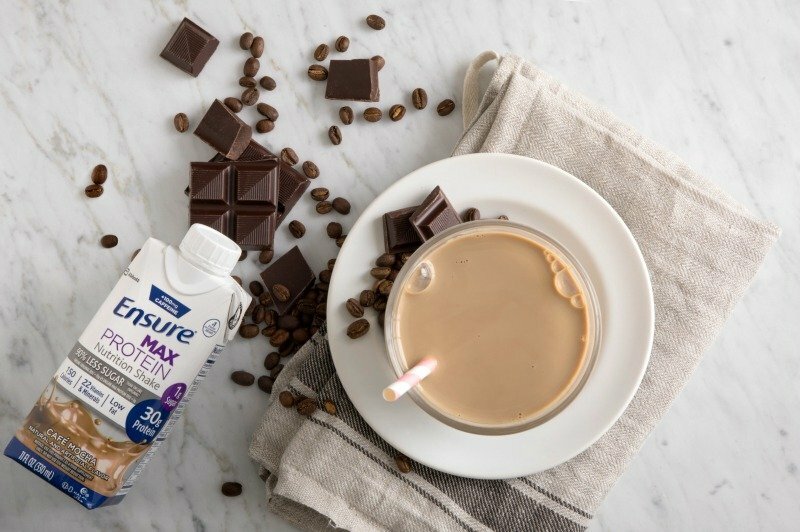 Abbott partnered with influencers such as me for its Ensure Max Protein Program. As part of this program, I received compensation for my time. Abbott/Ensure believes that consumers and influencers are free to form their own opinions and share them in their own words. Abbott/Ensure policies align with WOMMA Ethics Code, Federal Trade Commission (FTC) guidelines and social media engagement recommendations. We live in a busy world! People are on the go more than they’ve ever been. This busy lifestyle can really affect our health. It’s like we’ve forgotten how to relax not to mention forgotten how to eat. Even though I work at home, my life is very busy, and eating right is a struggle! My full time job is my blog. I know some people think bloggers have it easy. They think we work at home in our pajamas with the television on all day as we leisurely write blog posts and talk to our friends on Facebook. No. Yes, we work at home, but we also see the housework that needs to be done, stress about that, lose our concentration, remember the post that’s due tomorrow still needs photos. On and on it goes. The busier we are, the less time we have for things like grocery shopping, laundry, housework, etc. I’ll be honest with you, I struggle with grocery shopping! I’m getting older, and I get tired more easily. I know I need protein, and Ensure is making it easy for me to get that protein. Shopping at Walmart totally fits into my busy lifestyle. 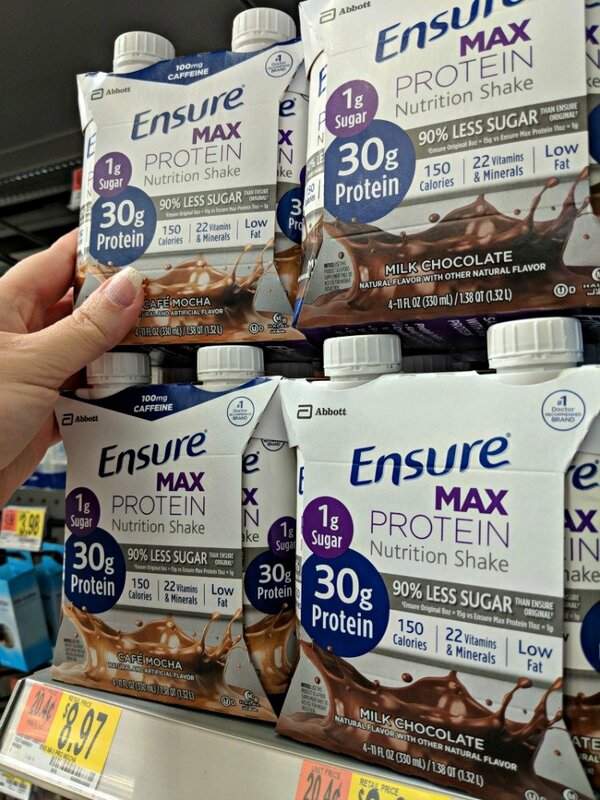 I know I can get everything I need, including these Ensure Max Protein Nutrition Shakes. We’re all busy, but we have to take the time to understand the nutrition our bodies need. Actress Kate Walsh makes time for her health even though she’s busy. She’s been an advocate for lifestyle changes and improving her health habits after discovering she had a brain tumor. One way she’s doing that is by drinking Ensure Max Protein nutrition shakes to make sure she’s getting the correct amount of protein her body needs. 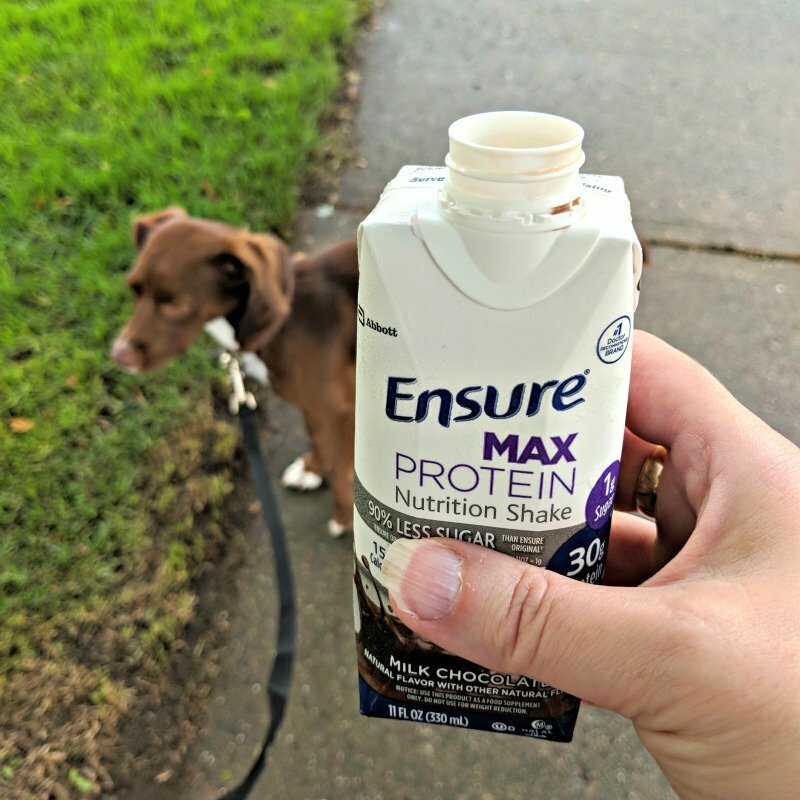 Try Ensure Max Protein from Walmart, and you can get a $2 ibotta offer here. If you don’t have a dog, that’s okay! You can take a walk anyway. 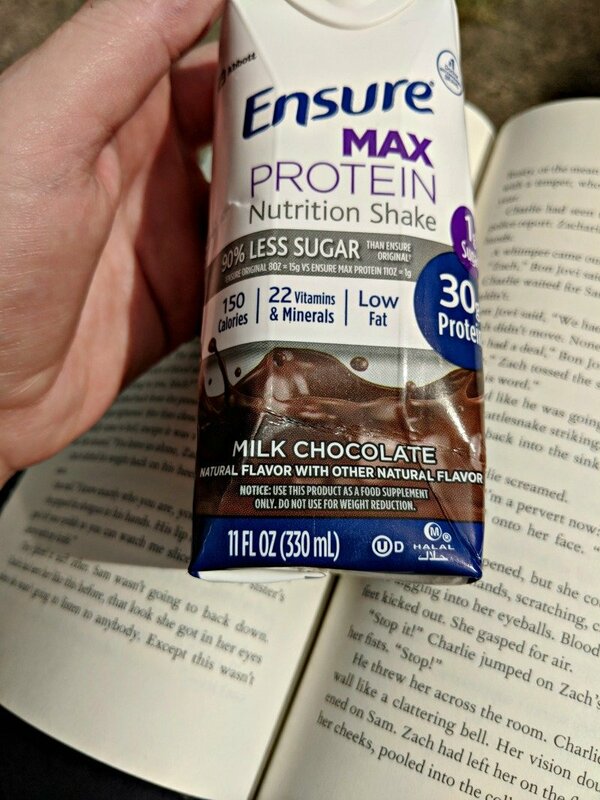 Grab an Ensure Max Protein nutrition shake out of the refrigerator and go! You’ll be getting fresh air, a bit of exercise, your protein, and making your dog happy! Being on the go all the time is not healthy, so you have to take a little time to relax…and not just at bedtime! How about taking some time to relax by the pool? Go outside and read a book on a nice night. Whatever relaxes you is what you should be doing for at least a portion of your day. No matter what you choose to do, remember to slow down once in a while. Take time for you, take a breath, and get that protein in! You’ll feel great! 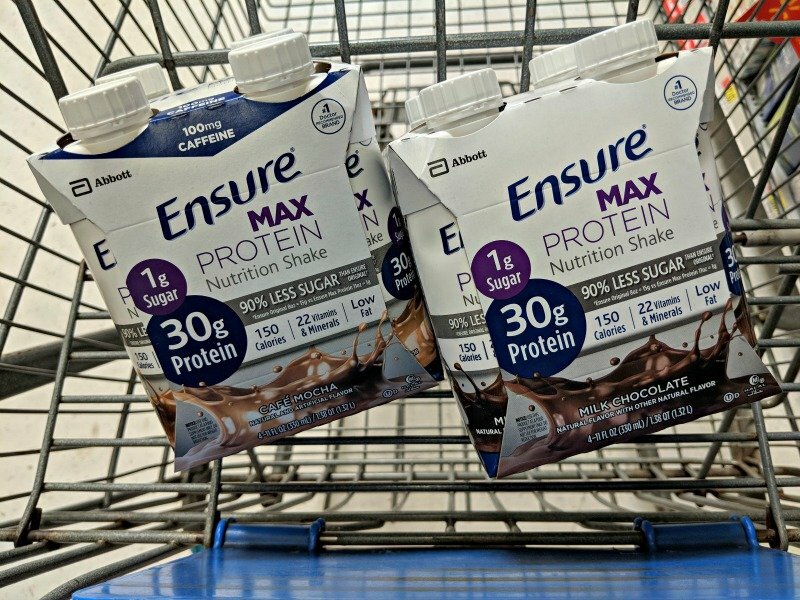 Don’t forget to get your $2 ibotta offer when you buy an Ensure Max Protein Nutrition Shake pack from Walmart here. This post is sponsored by Ensure®, but the content and opinions expressed here are my own.